Taken from her upcoming album Rainbow. 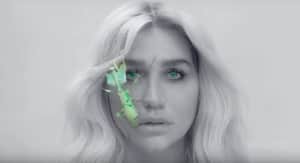 "Learn To Let Go" is the third song from Kesha this year following "Praying" and "Woman. "Rainbow will be released on August 11 via Kemosabe Records/ RCA Records. Collaborators on the record include Eagles of Death Metal and Dolly Parton. Since 2014, Kesha has been fighting a legal battle against producer Lukasz Gottwald a.k.a. Dr. Luke, who she's accusing of sexual assault, and physical and emotional abuse when they worked together. Most recently, Dr. Luke dropped a lawsuit against Kesha's mom. His contract with Kemosabe/RCA expired in March 2017.